Guyana’s Foreign Minister, Carl Greenidge and Caricom Secretary General, Irwin La Rocque briefing Guyanese media representatives and technical officials about the Caricom summit scheduled to be held here from July 4 to 6, 2016. 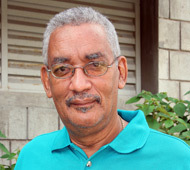 University of the West Indies (UWI) International Relations Professor, Mark Kirton said Jamaica, which is about to assess its place in the Caribbean regional integration movement, would likely consider Britons’ vote to leave the European Union (EU). “This BREXIT (Britain’s exit) may have some impact on the assessment of Jamaica’s participation in the regional integration effort,” Kirton, a former Vice Chancellor at the University of Guyana, told Demerara Waves Online News. He noted that Caricom’s benefits to Jamaica will be assessed by the Commission that has been established in the context of that Caribbean island’s closer affinity to the United States (US) than the rest of the region. “Is that a reason or a cause for a re-assessment of Jamaica’s position in Caricom? ; whether or not the benefits that accrue from Jamaica’s engagement in Caricom are sufficient for its sustainability- I think that’s the major question,” he said. Jamaica’s Prime Minister, Andrew Holness has said that the Commission would review Jamaica’s role in the Caricom Single Market with the hope of strengthening its participation. Kirton noted that given the fact that Caricom continues to engage nationals of member states may not result in the same kind of BREXIT approach by Jamaica. “We have to be concerned about its impact on the regional integration process,” he added. Kirton’s comments were made ahead of the Secretary General of the 15-nation Caribbean Community (Caricom), Irwin La Rocque on Saturday saying that the region would lose a key voice in the European Union (EU) with the expected withdrawal of the United Kingdom (UK) from that trade bloc. “We have to, of course, be concerned because the United Kingdom is a significant player in the arrangements in the European Union in terms of a voice, that also being a Commonwealth country but a voice as well in the European Union and the fact that it is a significant contributor to the European Union and off course the budget of the European Development Fund,” he told a news conference. Caricom leaders, he said, are expected to discuss the implications of the UK’s ‘ýes vote’at the referendum to leave the EU at their summit scheduled to be held in Guyana from July 4 to 6, 2016. Except for Suriname and Haiti, the 12 other Caricom members are former British colonies while Montserrat is a British dependency. The Caricom Secretary General did not forecast that the Caribbean’s relationship with Europe would deteriorate as a result of the UK’s expected opting out of the EU. “I do not anticipate any diminishing of the relationship with the United Kingdom or with the European Union in any way at all,” he said. While describing Caricom-Europe relations as very strong,” La Rocque said the region would be watching the developments very carefully. Guyana’s Foreign Affairs Minister, Carl Greenidge forecast that after the EDF expires in 2020, there might be changes in the predominantly Eastern Europe –dominated EU. “The UK is a voice in the EU for the Caribbean. 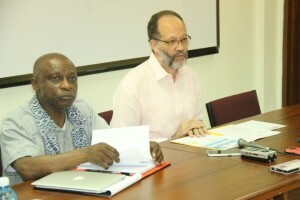 I don’t want to suggest to you that none of the other countries is interested but the grouping of 27 is a different grouping from what used to be a grouping of 12 or 13, with a bias to Eastern or Central Europe many of whom did not have close or continuing and long-standing relations with the region,” said Greenidge, a , a former Deputy Secretary General of the 77-nation group of former European colonies in Africa, the Caribbean and the Pacific (ACP). He said the Caribbean would eventually have to hold separate talks with the UK and rely more on Germany and France as voices in the EU. The Guyanese Foreign Minister added that he did not believe that the EU’s allocation of financing to the Caribbean through the European Development (EDF) was in jeopardy because of Britain’s exit. “The commitment that the EU has made is a legal commitment. They can’t go and reduce that envelope because the UK is leaving,” said Greenidge” he said. The EU is providing €346 million to the Caribbean Regional Programme for regional economic cooperation and integration, climate change, environment, disaster management and sustainable energy and crime and security.